We are committed to developing an effective penal system which creates fewer victims of crime, has a diminished role for prison and creates a safer community for all. Through What is justice? Re-imagining penal policy we are seeking to develop innovative, credible and challenging ideas that build into models to change penal practice and outcomes. It will be charged with generating the climate and the intellectual debate that can act as the springboard to contest the conventional role of the penal system and ultimately promote a new, achievable paradigm that will deliver a reduced role for the penal system while maintaining public confidence, fewer victims of crime and safer communities. The challenge will be to develop an agenda for change that counters the current mores of penal populism. What is Justice? was developed following the commission of scoping papers from eminent criminologists. They were asked to scope the current state of play and gaps in research and understanding within their specialism. The papers have been published as The Penal Landscape: The Howard League Guide to Criminal Justice in England and Wales (eds. Professor Ian Loader and Anita Dockley). Each hub is led by an eminent Professor. The hub leaders work with a core of eminent academics to explore and develop ideas and lead the discussion. 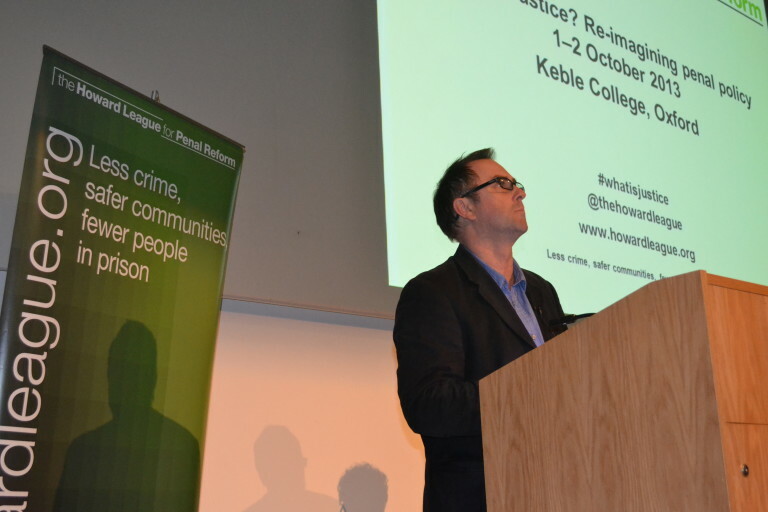 The Howard League is keen for hub members and contributors to be drawn from disparate academic specialisms including philosophy, geography, politics and economics to help develop a new paradigm for penal policy. Use the internet and social media to generate debate and ideas. Is there justice within the criminal justice system? If you could change one thing that would affect justice, what would it be and why? The interviews are being conducted by Dr Harry Annison, lecturer in law at Southampton University and research associate at the Oxford Centre for Criminology, and Philippa Budgen, who is a broadcaster and communications adviser on criminal justice.